Automatically re-launch your site's SMTP server when it stops for any reason. Survive crashes, memory leaks, accidental shutdowns, etc. On the General tab, in the Service to protect field, choose the SMTP windows service. 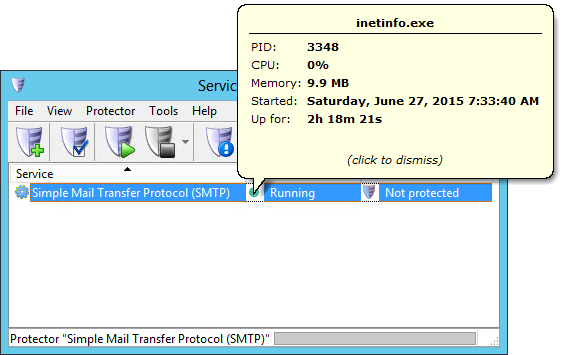 It will be called Simple Mail Transfer Protocol (SMTP). Switch to the Monitor tab. Click the Add... button to summon the dialog. Click the OK button to record your time. Click the Save >> button. 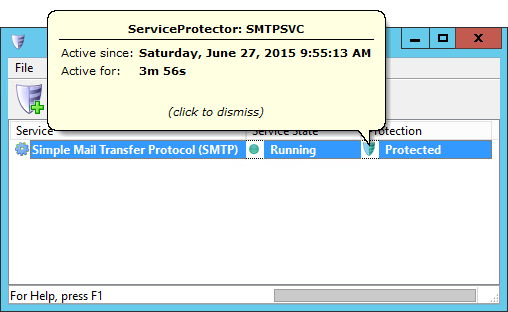 In a few seconds, an entry for the SMTP service will show up in the Service Protector window. 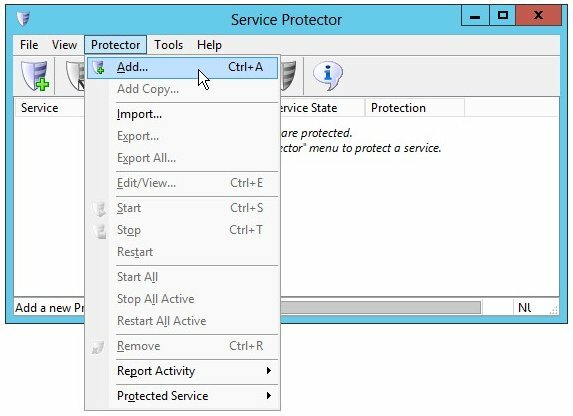 The service may already be running but it is not yet being monitored and protected by Service Protector. That's it! 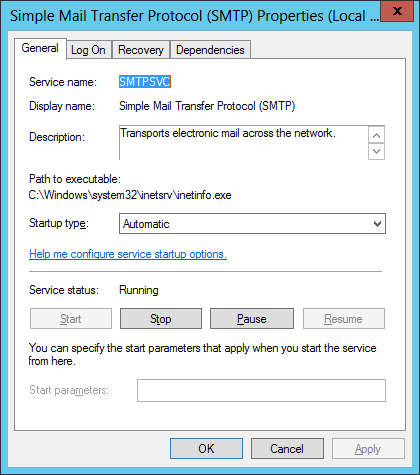 Next time your computer boots, the IIS SMTP service will start up automatically (as normal) and Service Protector will start monitoring the service to restart it quickly it if it crashes for any reason. 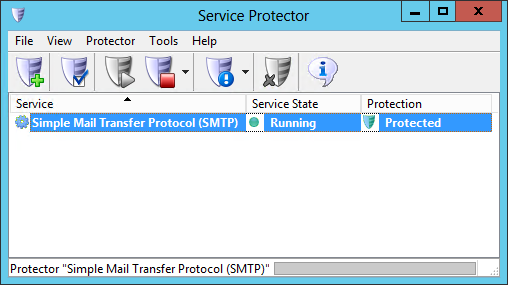 We encourage you to edit the SMTP entry in Service Protector and check out the many other settings that may be helpful in your environment. 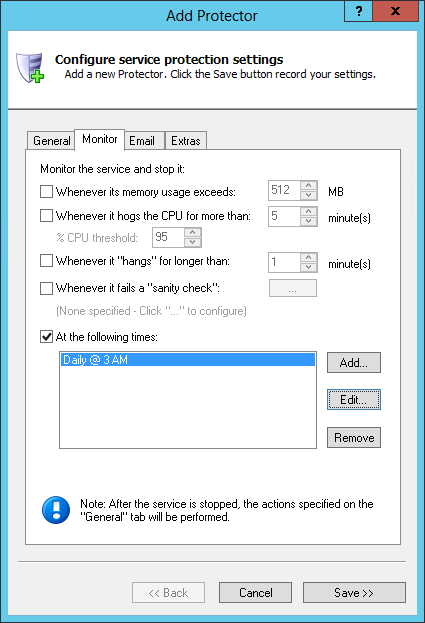 For example, send email when the service fails, automatically restart if the service gets "stuck", and much more. 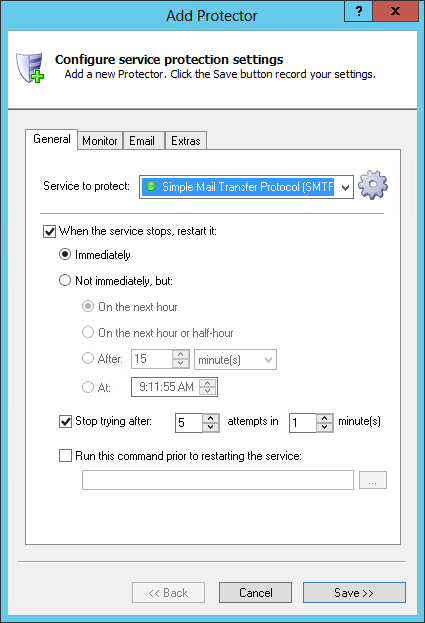 Trouble protecting the SMTP Windows Service?